And another one bites the dust. 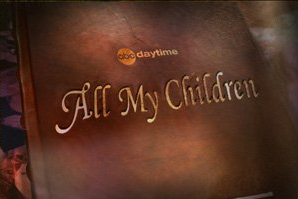 All My Children is the latest soap opera to get the axe. The official announcement form ABC, breaking the news to die hard fans is expected to come out at some point today. Ratings have been awful and these networks think with dollar signs, not with fans in mind. It is likely that the All My Children slot will be filled with a daytime talk show. Are soap operas and endangered species? I see extinction in the not too far off future.